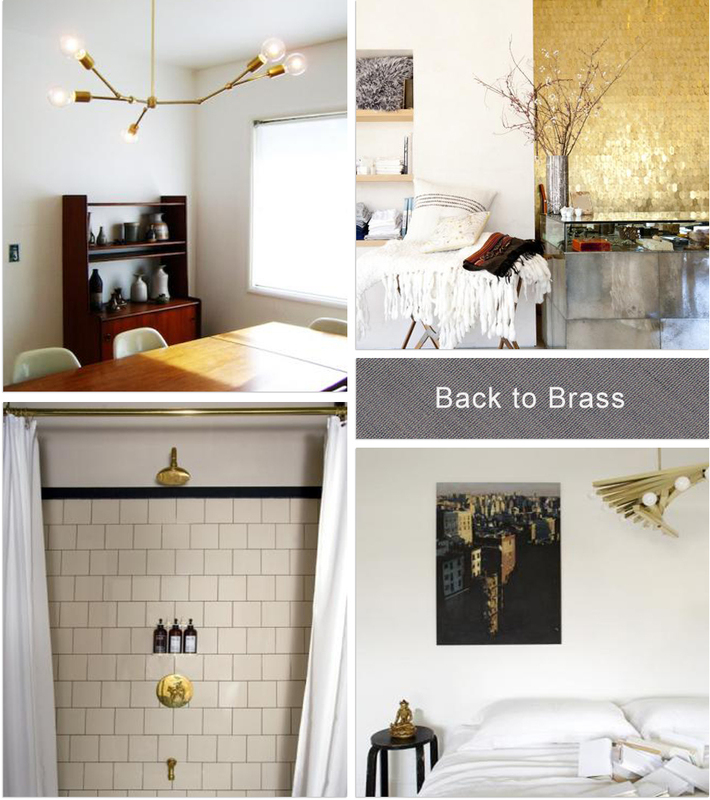 Brass is making a BIG comeback as a feature in interiors. I’m loving it in light fixtures and accents but check out this amazing wall in the Eric Tanov store right near my home…just beautiful. And that light fixture in Image 4…ahhmazing! Polka dots are everywhere right now. I was never a big fan as they always felt a tad to girlie for me but even I couldn’t resist when I saw this J Crew sweater knock off at Old Navy for $20!!! ( a bargain worthy of its own splurge vs steal post!!). Clothing aside, for interiors and the home I feel this is a trend best done in moderation – perhaps in a playful space or in a kids room. 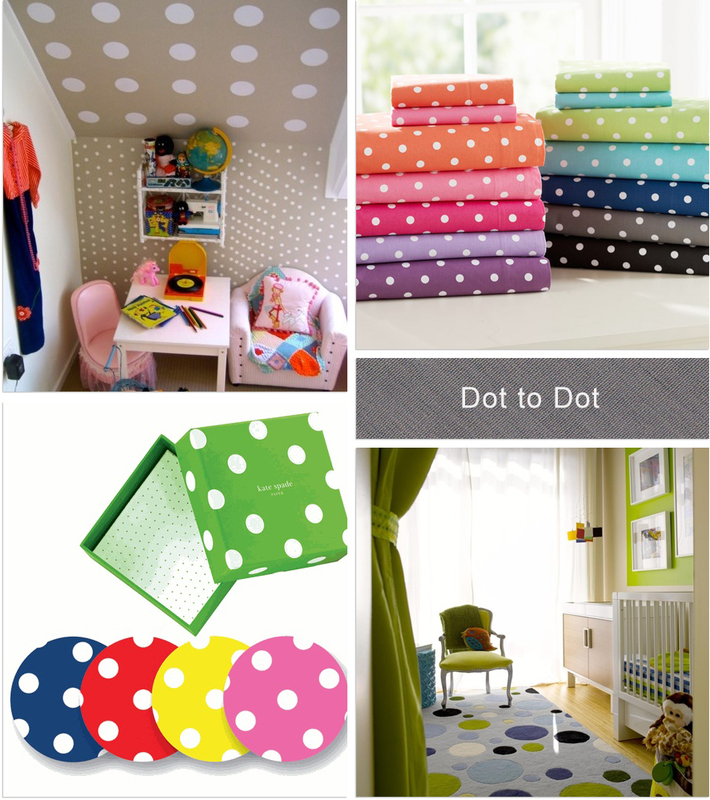 Its hard to do polka dots in a stylish sophisticated room but a hint here and there can go a long way. Here’s my ode to everything dotty. A Mini Mood: Olympic Fever…. Its Olympics time! Something that only happens every 4 years and this year its being held in London which is making me super homesick. Seriously if ever there was a summer to be in the UK (despite the dreadful weather they’ve had so far) this was it what with all the great once in a lifetime events they have had this year! 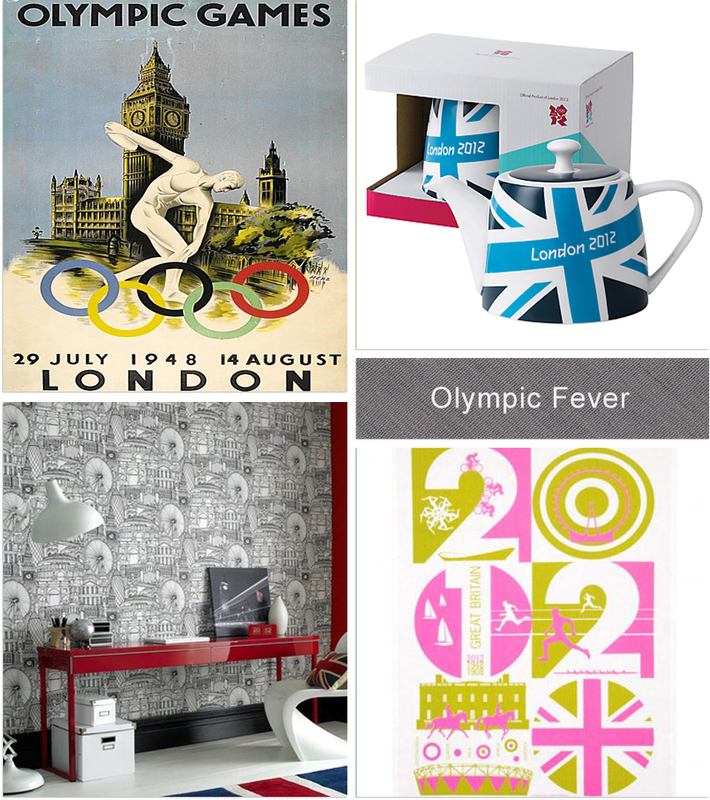 And so I will console myself by putting together this Olympics/London inspired mood board with some ideas on how to add a touch of Olympic fever into your home. I’m under a fair amount of pressure to start making some quick guest bedroom choices given we have got our first guests arriving in just 5 days..eek (yes I have seen the state of our house recently!!). 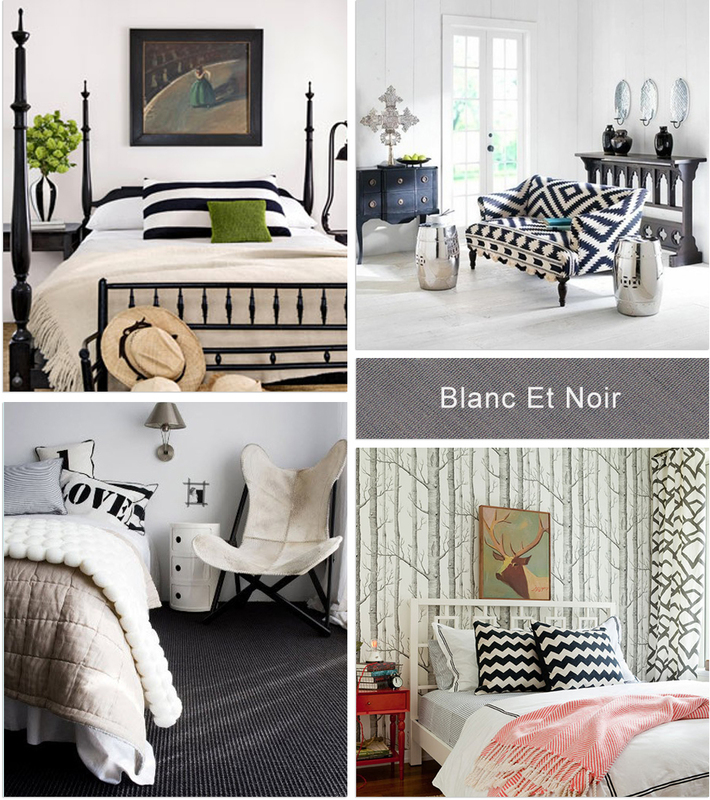 So its time to decided on a color palette and I am thinking crisp & clean….black & white. It’s a classic scheme yet modern and offers a level of luxury and comfort that you want in a guest bedroom. Here’s some inspiration for my design. I am slowly falling in love with blue again – all shades of it. 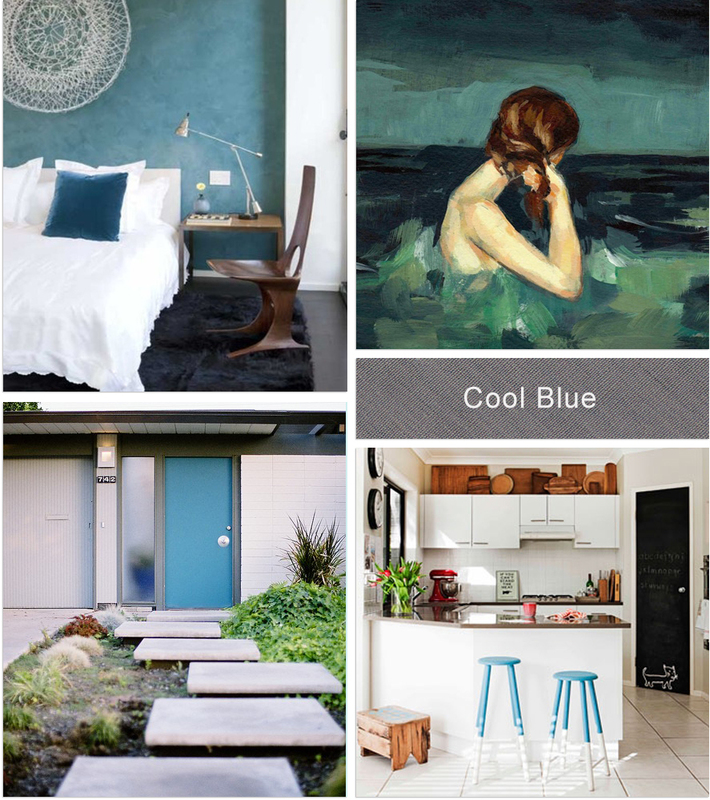 From rich navy to summery turquoise – blue can be a calming yet stand out color in your home. Daring to use a lot of color in the home is still something I’m a little scared of. 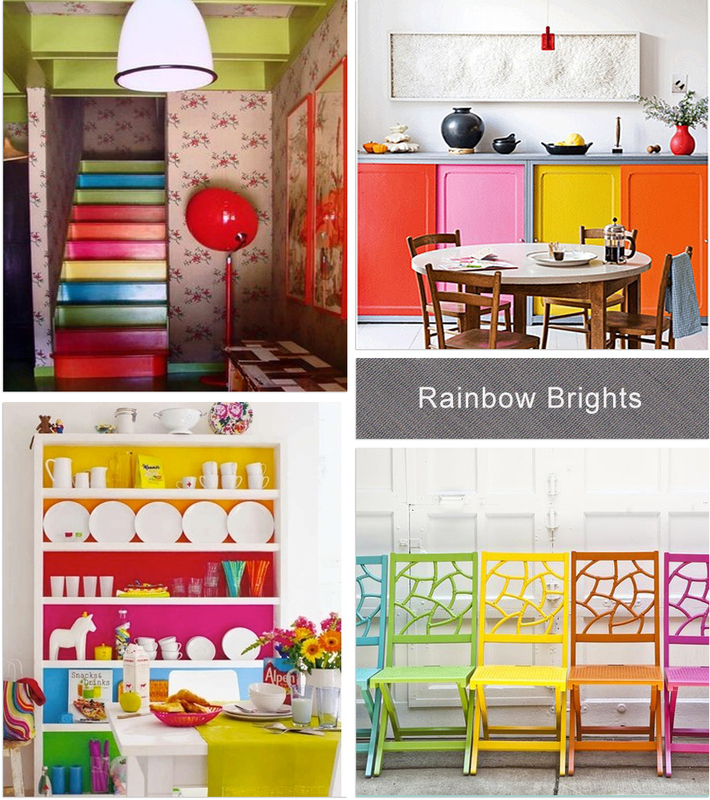 Here’s some images that caught my eye recently to encourage me to be a little more adventurous!! Kelly green is a gorgeous rich color and its being used a lot in interior design right now. It’s a classic tone that wont date too quickly and always looks fresh. 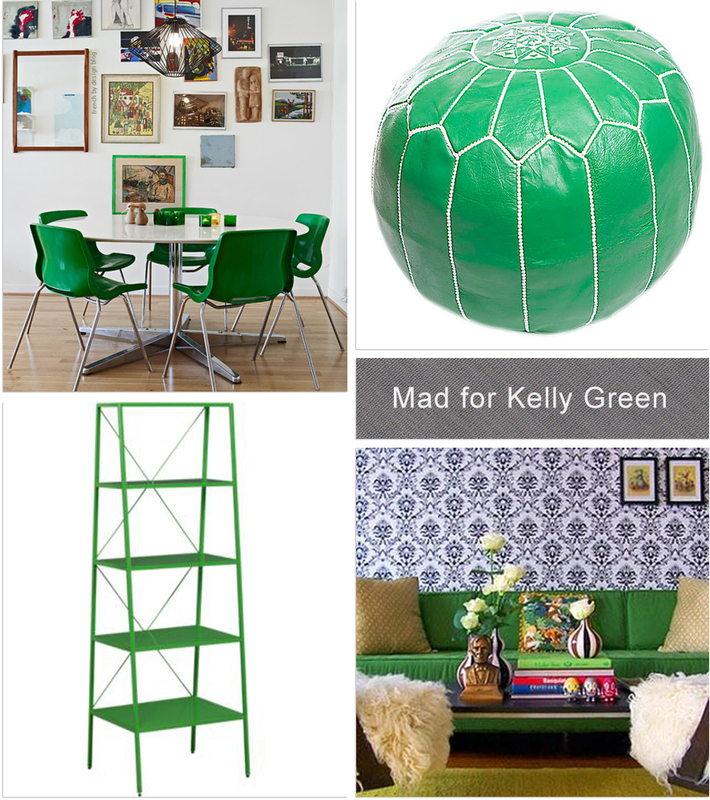 Check out today’s Kelly green inspired mood board…. A Mini Mood: Celebrating the Queens Diamond Jubilee! There’s a Diamond Jubilee coming up on the 2nd of June in the UK……what’s that I hear you non Brit folks ask? Well its a celebration of 60 years of HRH’s reign over the British sovereignty. And in honor of this event there’s the usual fanfare, street parties and knick-knacks being produced. So I am dedicating this weeks mini mood to celebrating all things royal in style!!! 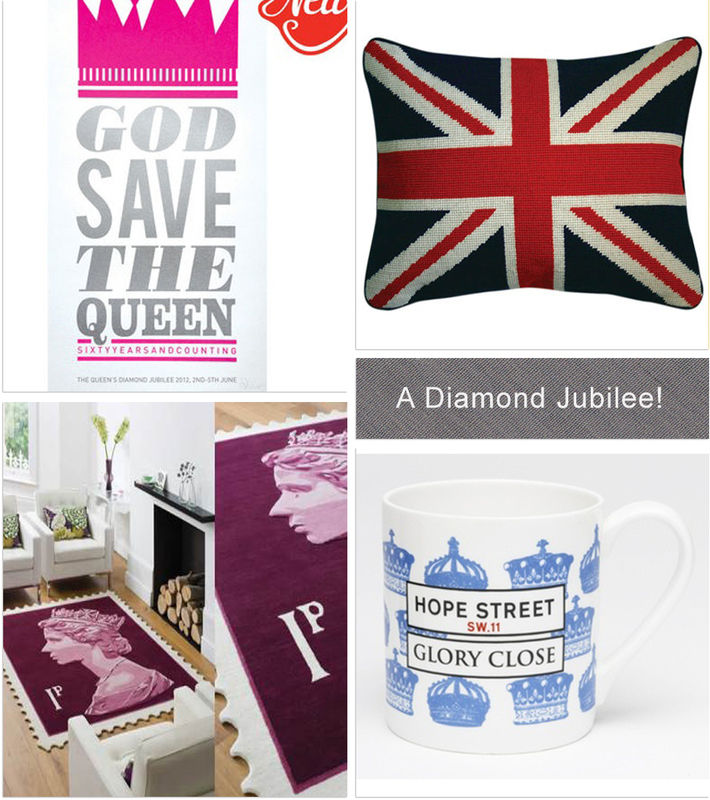 How will you be celebrating the Diamond Jubilee? 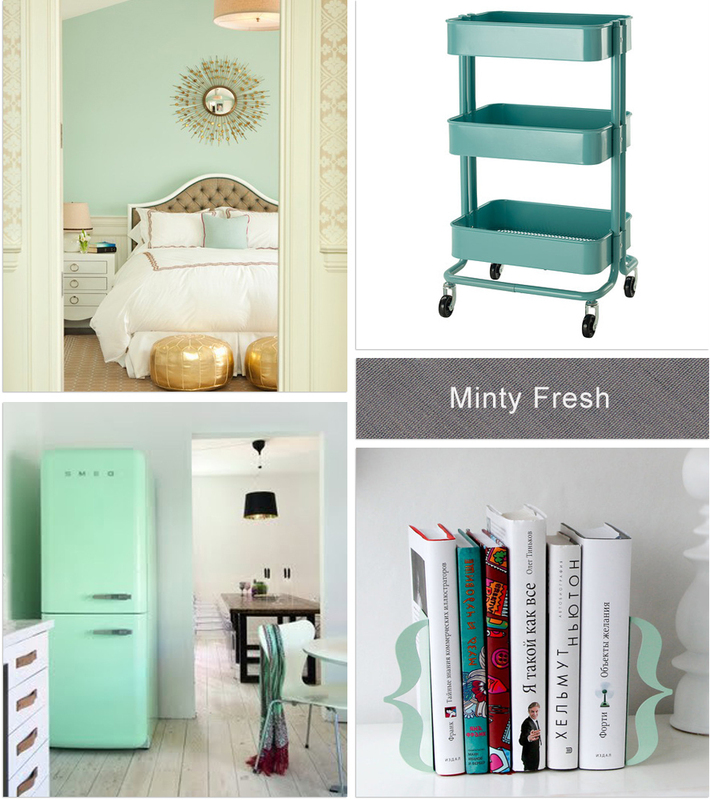 Mint is hot hot hot at the moment …..well except that as colors go its decidely cool in tone. How to use such a color in your home? Sparingly seems to be the answer, as an accent or a hint. 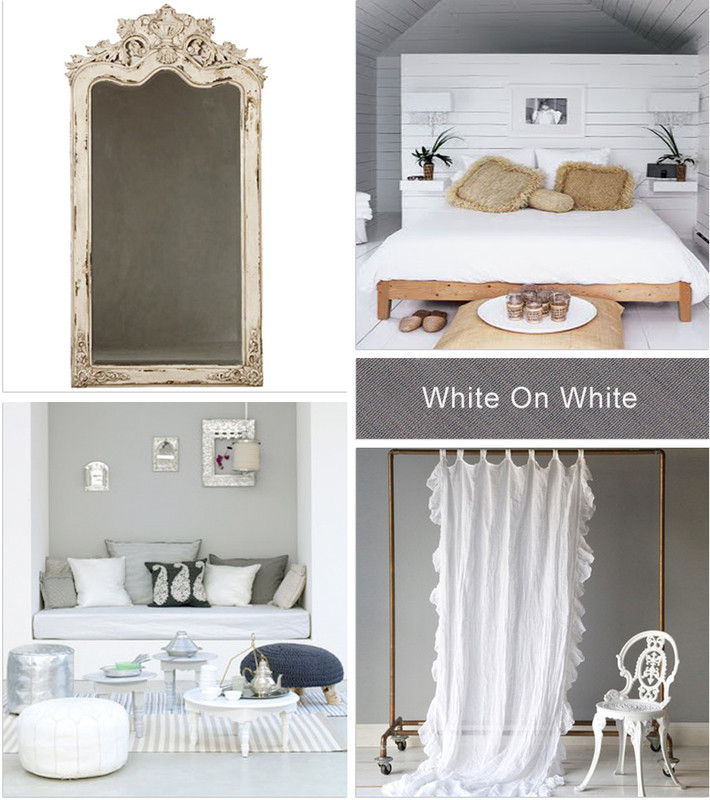 I’ve been toying with creating a serene all white environment for our “soon” to be converted pool house into guest house. It will be a nice respite from the colorful chaos of our home….a quiet sanctuary in the garden (yes I know its currently full of overgrown weeds and trash – use your imagination ok??!!) that will entice friends and family to come and stay a while.